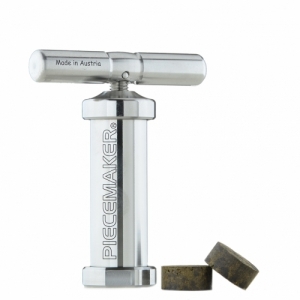 Piecemaker Pollen Press - California Trim Store Worlds best bud trimmers. Raw material is forced under high pressure. Pressing means to apply heat and pressure to compress the resin powder into a piece. Residual moisture is removed, and the density is determined. By pressing the resin transport and consumption to facilitate. Piecemaker press inlay stamps With the inlay stamps you can press different images into..